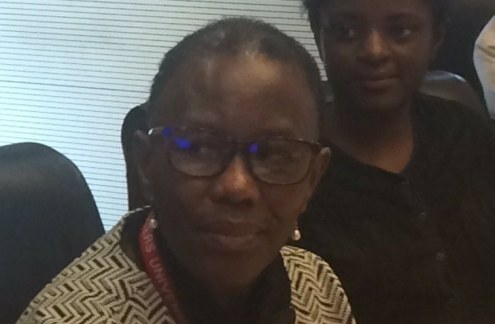 "Today is a special day and it belongs to the girls," said Matashane-Marite, ECA's Gender section in celebration of the International Telecommunication Union's Girls in information and communication technologies (ICT) in Addis Ababa, Ethiopia. "My message to the girls is please embrace ICTs as an enabler to help you achieve your dreams in this digital world of today." 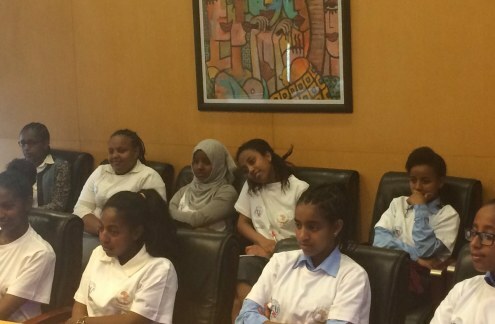 Matashane-Marite was joined by other ECA professionals in training and sharing personal stories with girls from various Ethiopian schools on how they made it in a male-dominated field. Read more. More on the ECA in this BRIEFING. ECA's Keiso Matashane-Marite says it is essential to show ICT is not a masculine profession; narrative change important. 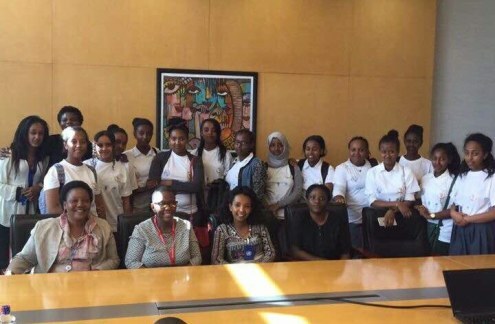 ECA professionals joined other distinguished guests in training and sharing personal stories with girls from various Ethiopian schools on how they made it in a male-dominated field.